Enter the stunning world of the Amazon with the Hidden Expedition team in search of a missing professor. Use the official Amazon Strategy Guide in your journey to unravel the secrets surrounding an ancient Beetle Temple. Explore cities, temples, and historic ruins with friendly helpful advice. 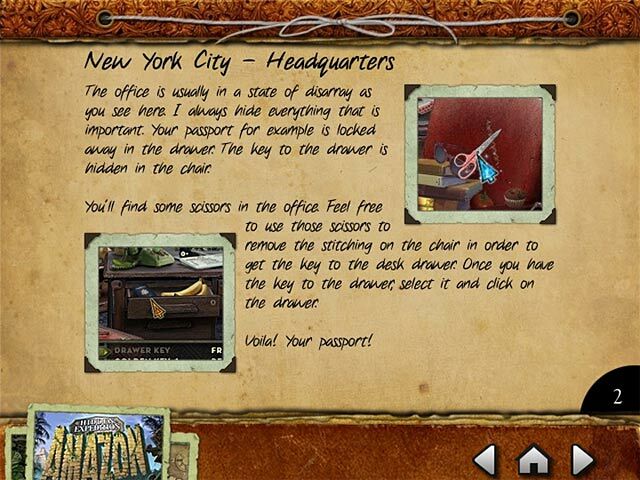 The Hidden Expedition: Amazon Strategy Guide is written in a special format to keep the ending a surprise. 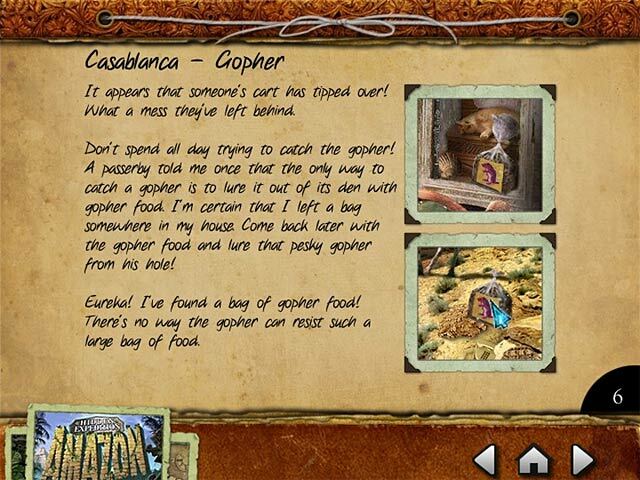 Improve your Hidden Object - Adventure skills with this step-by-step Guide. 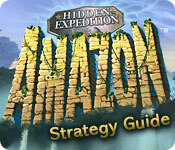 Hidden Expedition: Amazon ® Strategy Guide is rated 2.4 out of 5 by 30. Rated 5 out of 5 by sitkarose from Great Game This is the best all around Hidden Object game I've ever played! Objects are there, clearly drawn (except for a few) and hidden well. Love the bug collecting for additional hints! The puzzles are a bit obtuse often lacking directions, but generally do-able when you figure out what is wanted to complete them. Rated 5 out of 5 by tinysaks from amazon expedition game I've owned this game for years. I still love to play it. Right now I've had trouble finding a crowbar. There's something different every time I play. I liked the fact that it does keep you on your toes; no matter how many times you play. LOVE?LOVE IT. Rated 5 out of 5 by uncemt from Very challenging but some times frustrating I have finished this twice. You have to think to solve all aspects and levels of the game. If you can not maybe you are not the expert skill level. Rated 5 out of 5 by Billlockhart from It IS fun in spite of the challenge The storyline is really funny. I like the absurdity and the dry humor. The only thing that detracts from the fun factor is the frustration of not being able to find an object only to realize that it is obscured by another object which has to be removed by a tool found a site or two later. It takes a while to catch on; but once you do you can deal with it. Most chapter-end puzzles are difficult; they require observation and patience, but they can all be solved, resulting a feeling of accomplishment. The story is worth the read by itself. Rated 5 out of 5 by aviator2004 from Fun and challenging I am surprised that expert skill level raters gave this game only one star. Yes, the puzzles require some deductive reasoning, in other words, thinking and reasoning. There are hints where needed, but they are minimal and you are required to use your noggin. Not a game for those used to being spoonfed. For me it was challenging and mentally stimulating. Loved it. My one criticism would be that the graphics need to be sharper and I would hope that a future upgrade would do that. 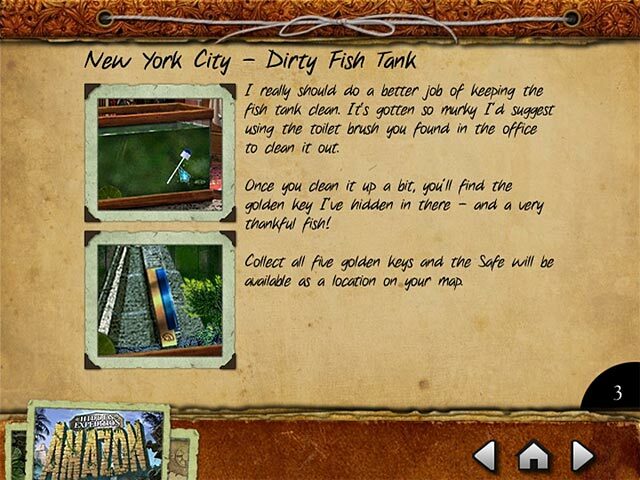 Rated 4 out of 5 by bigfish_mar5 from Where's the help? I like the game, but when I get stuck there is no way for me to get help for my next move. I start the level over, only to get stuck on something else. Strategy Guideline does not help, at all ! Rated 4 out of 5 by DARMAYO from COBRA INFORMATION I have never been sure what I was expected to achieve with the cobras. Love the game until I get there and there is no explanation as to what you need to do. I have all of them up to the lines matching the flowers , all swaying at the same rate and still cannot continue. Please put more information on this site. Rated 4 out of 5 by challenged66 from discipline pays off! This is truly a gamers "game". Its not easy because we're so use to easy, solvable games. It's not easy because you must "think" your way thru the problems. I admit frustration at first, but accepted it as a challenge and won the "prize" when finally at the end. But take heed...make lists and keep them of how you solve each problem!!! It will make going back thru it so much easier. Rated 4 out of 5 by deddrra from Great game! Challenging and a real brain teaser. Once I realized that I had to go back and forth in the scenes to solve puzzle I was good to go. Definitely not for the players that like to zip through a game using the "hint" button; it will NOT work in this game. As was stated in earlier review, you have to use your "noggin" to get through this game successfully. Well worth the brain strain! Rated 4 out of 5 by caretransport from Amazon Hidden Object Game I thoroughly enjoyed this game. Quite a challenge, but once I understood that I needed to try different things, and even change a scene to find Inventory items and then go back, it was good fun.